Zimbabwe’s only commuter train is cheap and reliable – two qualities that its passengers cherish in a downwards-spiralling economy. 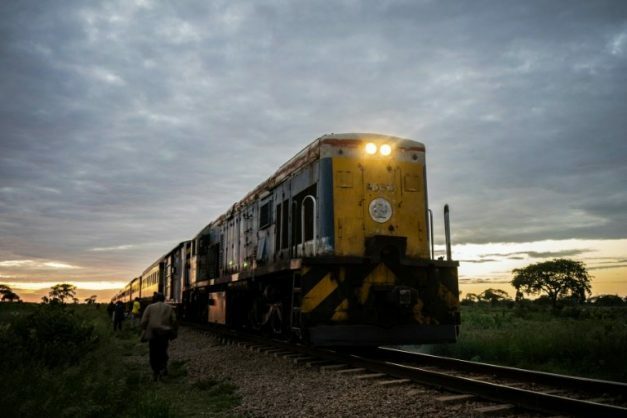 Chugging through townships, maize fields and scrubland as the sun rises, Zimbabwe’s only commuter train is cheap and reliable – two qualities that its passengers cherish in a downwards-spiralling economy. Each morning sleepy travellers walk to the tracks and clamber aboard before the train leaves the Cowdray Park settlement at 6:00 am on its 20-kilometre (12-mile) journey into Bulawayo, the country’s second city. Soon after 7:00 am, it pulls into Bulawayo’s grand but dilapidated station and disgorges about 2,000 workers, uniformed school children and other travellers into the city centre, ready for the day ahead. “I live 300 metres (990 feet) from the last stop, so it is easy for me,” said the single mother of two, sitting among nurses, teachers, office workers staring at mobile phones and labourers who swilled cheap local beer.